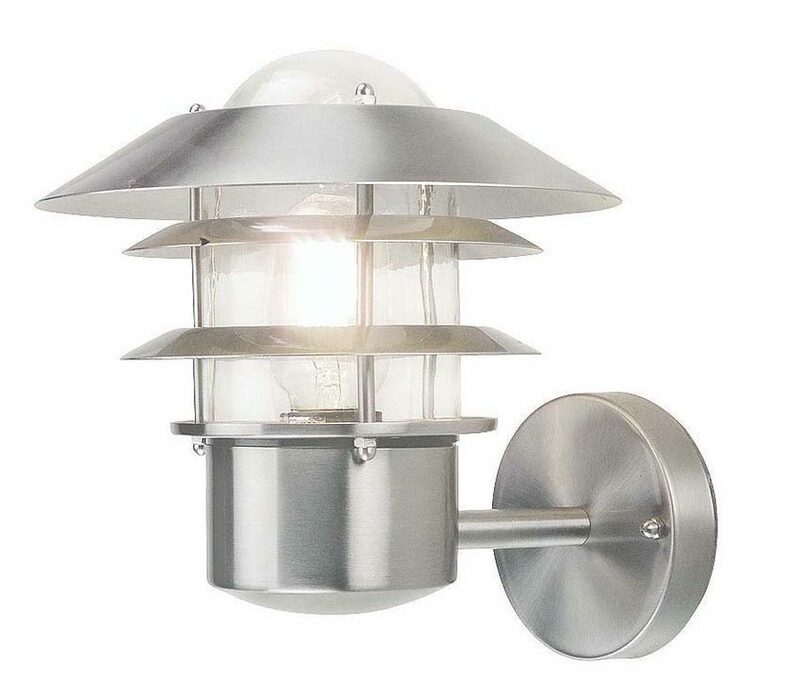 The Elstead Helsinki 1 light outdoor wall lantern in 304 stainless steel is rated IP44 and features a circular wall mount, straight arm and upright lantern, with brimmed roof, protective metalwork and pill glass shade. Supplied with a manufacturers 3 year anti-corrosion guarantee. A classic outdoor light that takes inspiration from the classic Scandinavian lanterns found in towns off the coast of Finland, Belgium and Germany. Constructed from Grade 304 Stainless steel, it is lacquered but will age if not maintained. There is a matching outdoor bollard lantern available in the Helsinki range, please see below. This exterior light is supplied by Elstead Lighting, a British company that specialise in the manufacture and distribution of quality decorative lighting such as the Helsinki 1 light outdoor wall lantern in 304 stainless steel and rated IP44 you see here.